January 1942. 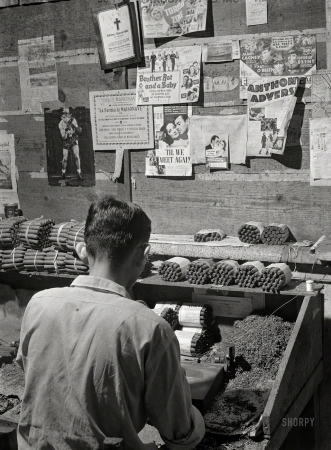 "Yauco, Puerto Rico, In a small cigar factory. These cigars sell for about two cents."